PA congress to meet next month, discuss response to Trump's Jerusalem recognition. The Palestinian congress will meet next month for the first time in years, AFP reported on Wednesday, as Palestinian Authority (PA) chairman Mahmoud Abbas plans a response to U.S. policies. The Palestinian National Council has not met in regular session since 1996 amid political infighting between Abbas's Fatah party and the Hamas terrorist group. An emergency session of the body was held in 2009. But it will gather on April 30, the WAFA official news agency said, after a decision by the Palestine Liberation Organization's (PLO) executive committee. The more than 700-member PNC serves as the parliament of the PLO. Mohammad Shtayyeh, an adviser to Abbas, told journalists that among the tasks for the meeting was a "new political program". 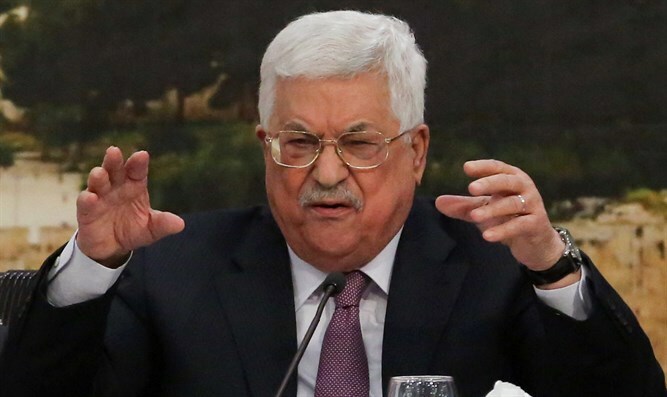 Earlier this week, the PA cabinet in Ramallah backed Abbas and rejected the possibility of accepting a peace plan from the Trump administration. Abbas recently addressed the UN Security Council and called on the international community to hold a Middle East peace conference as an alternative to a U.S.-led talks between Israel and the PA. The April 30 meeting could also include members of Hamas, despite reconciliation attempts with Fatah failing, reported AFP. All members of the largely defunct Palestinian parliament are automatic members of the congress even though Hamas is not part of the PLO. Hamas won the last legislative elections in 2006 and thus has 74 members in parliament who are in theory able to attend. Hamas, however, rejected the timing of the meeting, saying it represented "a blatant departure from the national consensus" and implying its delegates would not attend.